Picasa which was actually produced by Lifescape was later acquired by Google and 12 years after its acquisition it is being shut down by the company. In fact, since the launch of Google Photos the future of Picasa looked dim and unsettled. Finally, in a blog post, Google announced that it would close Picasa in the coming months. Its only focus area will be Google Photos. The company is of the opinion that they will be able to give superior experience by concentrating on a single product that will deliver more functionality and will work across the mobile and desktop. Focusing on two products offering similar service is actually a diversion and division of dynamism for the service provider. The pictures and photos available on the Picasa online album will be automatically accessible in people’s Google Photos accounts. In fact, Google Photos will allow the users backup and storage of unrestricted, excellent quality photos and videos absolutely free of cost. 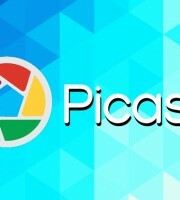 The tech giant has already made the announcement that it is will discontinue the support for Picasa desktop application from 15 March 2016.But for the users who have already downloaded it or are planning to do so before the final date of discontinuance of the service, the application will continue to function as usual. But this app will not be developed further and it will not be updated in the future also. But nothing is happening on an immediate basis and these changes will only start rolling out from May 1, 2016.